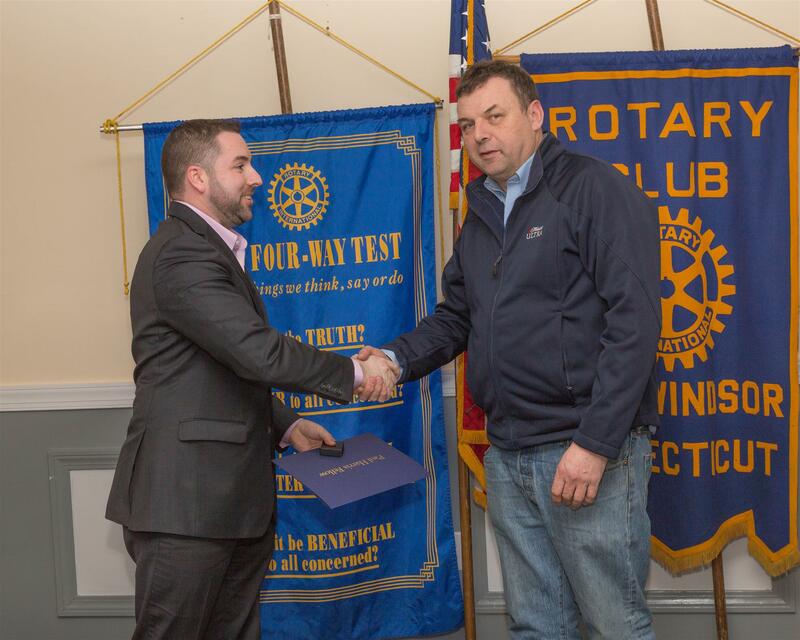 On March 8, 2018 the East Windsor Rotary Club presented a Paul Harris to Leslie Hickey. Leslie has been instrumental in the success of our Annual Wine Tasting from is conception. He volunteers his time and staff every year and asks for nothing in return. He has also helped Enfield and Windsor - Windsor Locks Rotary with their Wine Tasting. Even though Leslie is not a Rotarian he is well deserving of being a Paul Harris recipient.